Sure, would be better if DPR used exactly the same exposure for all cameras and matched the brightness of both the JPEG and RAW images afterwards. In this case the difference in exposure seems to be about half a stop, so comparing G3 at ISO 1600 vs. E-M5 at ISO 3200 isn't really better than comparing at the same ISO. It's 1/3 of a stop at ISO 1600 for the G3 (allowed for in the discussion) and 2/3 of a stop against it at ISO 3200 - aperture is the same. Since I believe that lighting was the same in the two shots, and we know that, at least by one measure, what the EM5 labels 3200 the G3 labels 1600, I believe it would be more useful to compare the two at these in-camera settings. 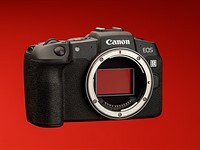 We've wrapped our full review of Canon's EOS RP - the smallest and lightest current full-frame model on the market. Click through to find out how its autofocus and video stack up, and whether it's right for you. 18 Travel Gear M43 or Fuji ? 14 Olympus Workspace extreme JPEG Compression. 9 Convert RAW - WS or LR? 7 I'm thrilled with the new DCP profile support in PhotoLab 2. DCP color profiles and examples inside. 5 Re: Tree Swallows in Flight.